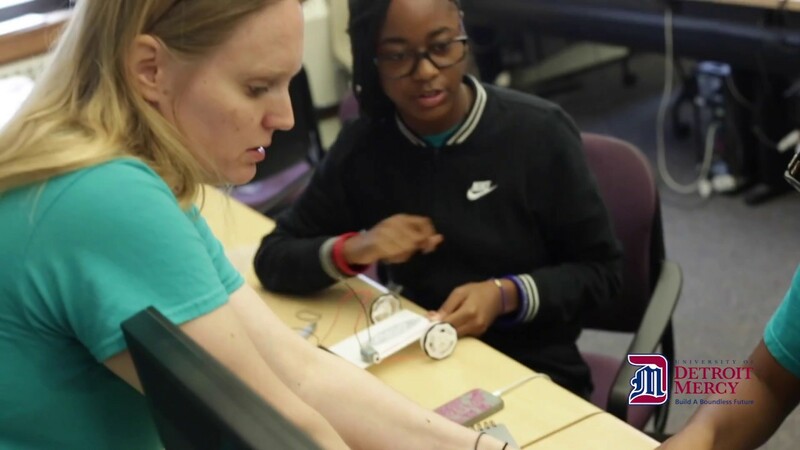 Science Technology Engineering Preview Summer camp for girls is a one-week day camp that introduces female students to the exciting world of engineering, science and robotics. Attendees participate in activities that give them hands-on experiences similar to those of a college engineering student. STEPS is an opportunity for girls to learn more about what engineers do. Program participants will build and program a (EV-3) robot, while gaining an understanding of manufacturing techniques, robotic control systems, circuits and sensors. This program will be a continuation of STEPS I. Attendees will participate in more advance activities related to coding, advance robotics, and other activities supporting areas of electrical, mechanics and computer engineering. Girls have the option of attending STEPS I and STEPS II or may choose to attend only one of the STEPS camps. The 2019 STEPS summer camp application is now open.